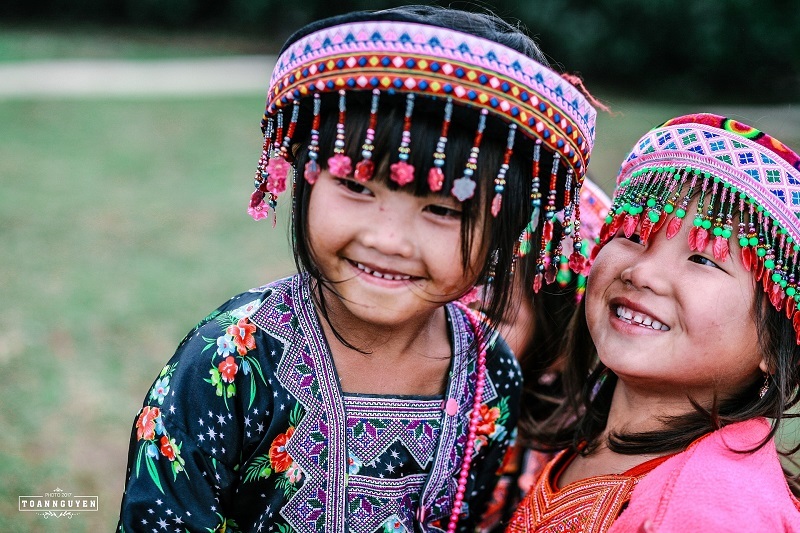 If are you planning to take Northern Vietnam tours to discover the beauty of landscape and the distinctive cultures of ethnic groups in the mountainous areas, read this article to understand the life of children in mountainous areas in Vietnam and what to expect as a tourist. Vietnam situated on the Indochina peninsula boasts of breathtaking scenery and diversified culture. If you ever intend to visit this beautiful country, do not skip out Northern mountainous areas where are gifted with stunning green rice fields and magnificent mountain ranges. 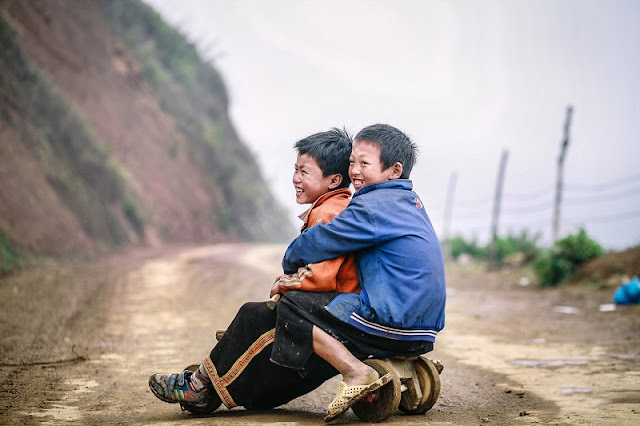 Apart from the mesmeric landscape, you may not forget the friendliness and surprisingly good language skill of many ethnic children especially those who live in tourism spots such as Sapa, Ha Giang. They are on average quite poor materially. However, when it comes to the ability to fill others with joy and a pleasant “je ne sais quoi” feeling, they are definitely among the richest ones. The first thing that will strike you about their attitude is the brightness of their smiles, the outward expression of that inner joy which seems boundless and is in some ways unfathomable. Children in mountainous areas overall have a positive outlook on life and enjoy the fullness of the bounty of nature. As a consequence of the deplorable financial conditions in remote mountainous areas, ethnic children are lack of necessary schoolings. Most of them drop out of school at quite early age to serve as breadwinners for their families. Therefore, you will often find them either helping their parents with farm work, weaving clothes (mostly for girls) or splitting wood (mostly for boys), or simply hawking little food items and selling bracelets. 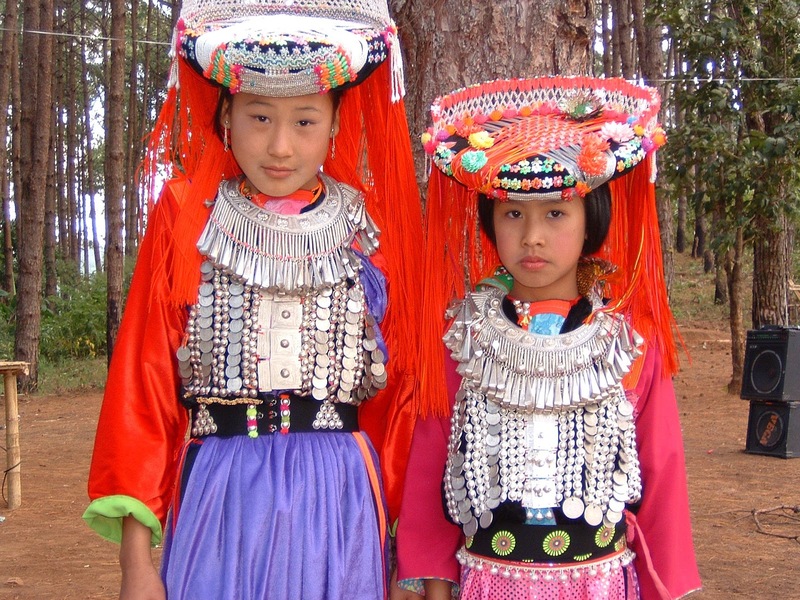 In famous tourism spots like Sapa town, there are even more children willingly stay away from school because they find it more fulfilling to mingle with tourists and do petty trading. Their marketing acumen will amaze you, as they will form little groups and come around you playfully, say nice words to you in your native language and later invite you politely to purchase an item for them. Regardless of some annoying situations you may encounter caused by children street hawkers during your trip to northern areas of Vietnam, ethnic children are very cute and joyful to be around with and visiting these mountainous areas is an absolute must for anyone who wish to have a unique experience in a different part of the world.